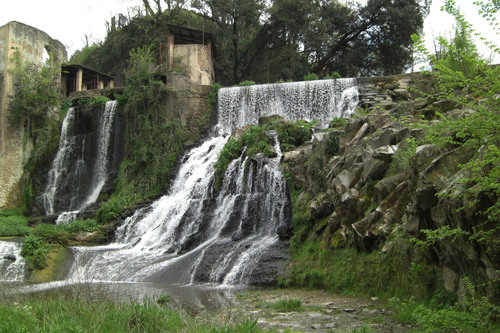 In the region of la Garrotxa and crossed by the river Fluvià, Sant Joan les Fonts is found inside the Natural Park of the Volcanic Area of la Garrotxa, and is linked by road to neighbouring municipalities like Olot or Ripoll. The municipality’s principal source of income is based on industry (food production, metallurgical, and paper), and to a lesser degree agriculture, livestock and the tertiary sector. To stroll round the historic centre or to go to one of the multiple cultural and social activities organised each year are two irresistible proposals for habitual or one-time visitors. The monumental heritage of Sant Joan les Fonts presents itself amongst rural surroundings where architectural treasures like the medieval castle Estada Juvinyà, the church of the old Romanesque monastery, the medieval bridge or the Molí Fondo hide themselves. The numerous festive activities organised in this locality are a good excuse to delve into its traditions and customs: the Fira del Tastet, Nit de les Dones d’Aigua (Night of the Water Women), the European Days of Catalan Heritage or the celebrated festival of Carnival are good examples. The cuisine of Sant Joan les Fonts and the region is reflected in the Fira del Tastet, an annual event which welcomes people from near and far in order to taste new gastronomic proposals based on the area’s traditional cuisine, but with some undisputable protagonists: cured sausages.